You are here: Home / Is It Paleo? / Are Spices Paleo? 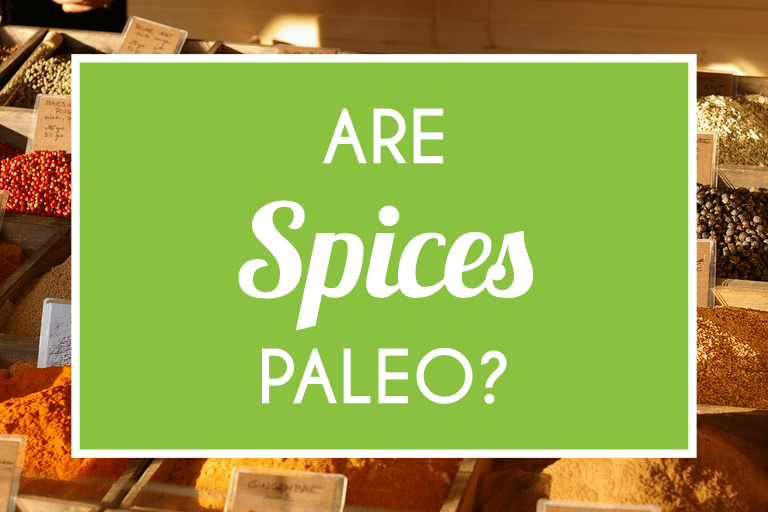 Is There Any Confusion When It Comes To Spices Being Paleo? Yes, spices are paleo. Spices are a natural way to add lots of flavor to paleo meals without adding any junk-like sugar or processed condiments. Plus many spices provide a lot of health benefits (of course this assumes you buy good quality spices that are free of weird chemical additives). There are a ton of different spices and nearly all of them are paleo. Spices are really just dried and ground plant foods that contain a lot of flavor. Examples of spices are cinnamon, thyme, oregano, basil, and curry. Most dried spices come from fresh herbs, flowers, or other sorts of plants. Although the exact nutrients and antioxidant levels depend on the spice in question, most spices come with some pretty impressive health benefits. On top of their health benefits, spices contain zero calories, carbs, sugar, fiber, protein, or fat, so this makes them the perfect thing to add to your meals without racking up the carbs, sugar, or excess calories. Spices allow you to take unprocessed, high-nutrient paleo foods (things like fruits, vegetables, and good quality meats) and make them a hell of a lot tastier, so you can keep things interesting and not feel like your paleo meals are getting boring. Spices make the paleo diet more realistic and sustainable long-term because they allow you to take simple ingredients and transform them into healthy meals that resemble those found in India, Italy, Mexico, and Greece. Some of the best spices to try out due to their health benefits are thyme, oregano, garlic, ginger, turmeric, and basil. However, these are definitely just the tip of the iceberg and many more are still great additions to your kitchen. Here are some of the health benefits associated with eating some of these spices. Ginger is an ancient herb that has been used for its many healing properties for thousands of years. It’s one of the best known relievers of digestive distress, thanks to its ability to reduce nausea, bloating, heart burn, and acid reflux. By stimulating saliva production, ginger helps to speed up digestion when we have eaten too much or when we have eaten something that gives us stomach pains. Ginger is known as an antiemetic, which means it has a special compound that soothes the stomach and prevents vomiting, which is especially important for people suffering from viruses, cancer, digestive disorders, and even pregnancy. Cinnamon is a great source of magnesium, calcium, fiber, and powerful antioxidants. It is believed to be a healing spice that reduces inflammation, which means it can decrease your risk of developing autoimmune diseases like arthritis, Chron’s, and colitis. In fact, cinnamon has been shown in studies to reduce the effects of arthritis better than any other herb. It is also powerful at protecting the heart, thanks to its ability to regulate lipids in the blood and its ability to prevent plaque from building in the arteries. Cinnamon is also very good at managing blood sugar levels and preventing diabetes. That makes it the perfect food to have alongside sweets like fruit, in order to avoid a rush of blood sugar and problems balancing insulin levels. No. Everyone agrees that spices are paleo and a great addition to any diet. 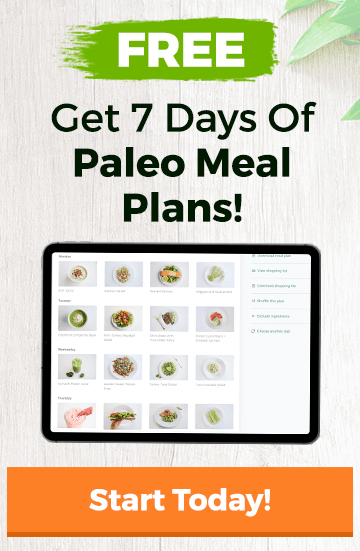 They keep people from getting bored when eating paleo and they are a much better option than adding things like ketchup, processed soy sauce, or sugars to your food to make them taste better. Yes, spices are paleo. Spices have been used for thousands of years to naturally add flavor to unprocessed foods, and most even have a lot of health benefits on their own.